Yesterday, Why This Kolaveri Di became a YouTube crorepati. Today, the Time Magazine website has published a story on the song "India just can't stop listening." As Dhanush's crazy song with the catchy tune remains a YouTube favourite, comes more recognition. The website quotes the BBC to report on the nonsensical, semi-English music video that's viral in India. Yesterday, Anirudh Ravichander, the young musician who composed the song sung by Dhanush for his new film 3, posted: "1 crore and 10 lakhs ! :) have no words to thank you all and the almighty!" 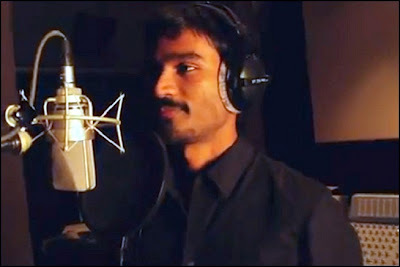 Earlier, Dhanush composed another jingle to thank fans for making Why this Kolaveri Di an international hit. "Wellu I'm happy nowu , cos u guysu enjoyingu my movie and performancu. Thanksu. Lovvu you , god blessu," he posted , in the same colloquial style of the song. Meanwhile, Why This Kolaveri Di has been feeling the love of Bollywood in no small measure. "Just heard Kolaveri Di after much talk on it ... it's so original and catchy ..congrats Dhanush and Aishwarya (Rajni's daughter) .. love," legendary actor Amitabh Bachchan had posted on Twitter, few days ago. Dhanush, thanked Bachchan, saying: "It's a great honour to get a tweet from Big B, very kind of him. I dedicate the tweet to all you guys who made kolaveri this big. Love you guys. God bless." Dhanush's wife Aishwarya, who is also the daughter of superstar Rajinikanth and the director of 3, thanked Big B: "Thank u so much @SrBachchan uncle..truly means a lot when u say it .." Other stars such as Karan Johar, Bipasha Basu and Shahid Kapoor have also posted tweets on their love for the song. Why this Kolaveri Di has been in covered by other international media too. 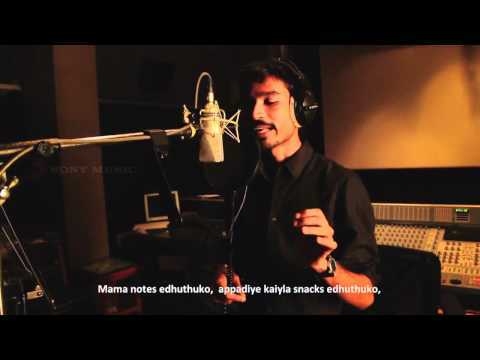 'Why This Kolaveri Di': India's Latest Viral Hit, The Huffington Post reported on Tuesday. A promo of this song was leaked on the internet and it instantly became viral on social networking sites for its quirky "Tanglish" lyrics and catchy head-bobbing tune. Pakistan's 'no show' stance for TDP came after the film's overseas distributors informed makers that the Pakistan Censor Board refused to clear the film. "It's a very hypocritical step. Even if the censors ban it from releasing on the big screen, they can't stop people from watching it on pirated DVDs. Since Pakistani films aren't anywhere close to the popularity of Bollywood, they should allow our films to run in theatres for their own good," says a senior official involved with a Bollywood marketing firm. When contacted, Tanuj Garg, CEO of Balaji Motion Pictures (producers of TDP) confirms: "Our overseas distributor informed us about the film being rejected by the Pakistan censors. It is very unfortunate that the audience in Pakistan, who have been keenly awaiting its release, will not have a legitimate means of viewing it." In the past too, Bollywood films have met with a similar response in Pakistan. Aamir Khan's Delhi Belly was banned because of its bold and lewd content. Actress Namitha told that the choice of Vidhya Balan for 'The Dirty Picture' is very wrong and she is the apt choice to play as Silk Smitha. Anjali has been cast as one of Vikram's heroines in his historical movie Karikalan directed by Kannan. Anjali does the role of a fiery revolutionary woman, while Vikram is playing the title role of Chola King Karikalan. 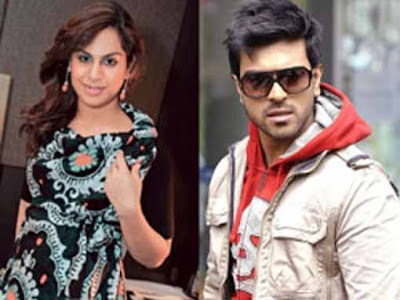 Chiranjeevi's son, Ram Charan Teja is getting engaged to his girlfriend Upasana Kamineni in a splendid engagement ceremony to be held in Hyderabad today. 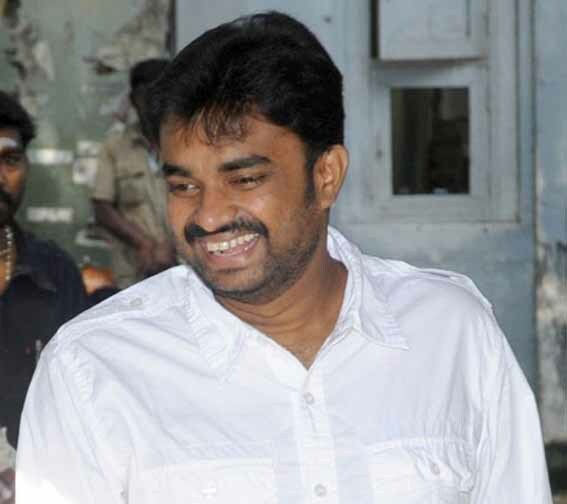 Director Vasanth is getting back to directing after a hiatus. 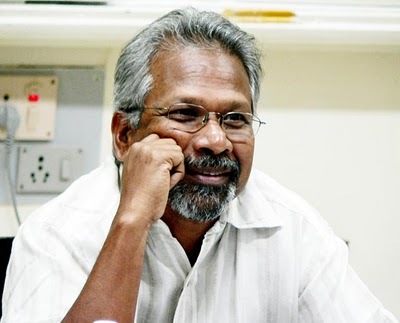 The director who is popular for his films like 'Keladi Kanmani,' 'Aasai,' 'Rhythm' etc. slowly diverged in to the small screen and stayed there for a while. The director is now getting back to silver screen with 'Moondru Paer Moondru Kadhal' (MPMK). The film, sources reveal, would depict the lives of three men. Vasanth has already signed Arjun and Cheran to play two of the heroes in this movie. Recently the director also roped in Banu, who debuted in Tamil with Vishal in 'Thamirabarani.' The shooting for this film has already begun from Kerala. Some sources also suggest that Vasanth will be introducing his son to play the third hero in this film. Abhirami Ramanathan has procured the distribution rights of The Dirty Picture. He will distribute the film in Tamil Nadu and Kerala regions. The Dirty Picture is due to be released tomorrow and its Tamil version will also hit the screens simultaneously. The film is based on the life of late actress Silk Smitha and therefore producer Ekta Kapoor has decided to release the Tamil version to attract the audiences to the theatres. Vidya Balan essays the role of Silk Smitha in the film with Naseeruddin Shah playing an important role. Milan Luthria has directed this film. Kannada actress Sowmya Gowda was stabbed 13 times in various parts of her body by her lover Anil Kumar. Apparently Anil Kumar suspected that Sowmya was in a relationship with someone else and confronted her. The situated turned ugly with the two trading insults on each other. This led Anil to stab Sowmya and he inflicted cut injuries on himself too. Though Anil is said to be out of danger, Sowmya's condition is critical, say sources. Another version about this incident doing rounds is that Sowmya confronted Anil Kumar about his wife and children, which he had kept a secret from her, and this prompted him to attempt a murder on her. Sowmya was seen in Kannada films like Huduga Hudugi, Enanthiya and Poorva. Strong rumours buzzed up that Jai and Anjali were in love and it had naturally left them to make abrupt decisions to disapprove the theory of gossip columnists. Anjali passed an official letter that she isn't love with Jai and wouldn't share screen space with him anymore. On the pars, Jai came up with a statement that he wouldn't marry an actress, which has left many of them infuriated. In fact, it's heard that few actresses had expressed their wrath calling up Jai personally. 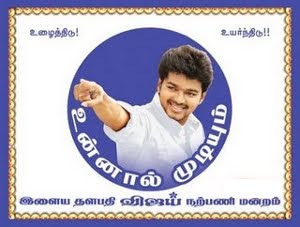 This particular number 'Kolaveri Di' has created a rage in Tamil Nadu as well as outside the state, as far as Bollywood. The song recently crossed 10 million hits that too in less than two weeks after it released. 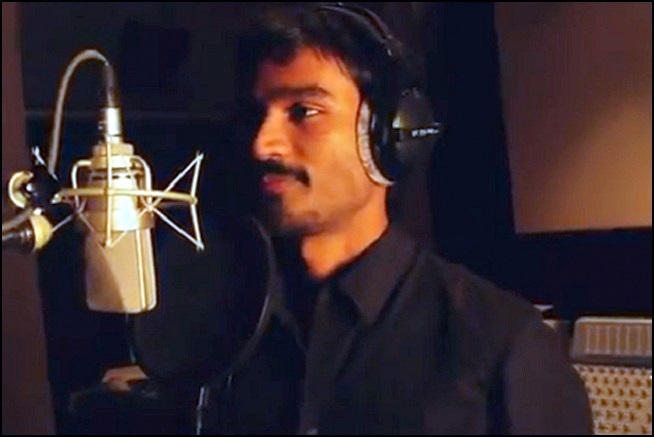 Dhanush's down-to-earth voice and the casual attitude with which he approaches a song has created a new trend in film music. '3' sees Dhanush sharing on-screen space with Shruti Haasan. Right from the word "go" the film has been garnering attention for the names associated those who are behind and in front of the screen. The film is a breezy romantic entertainer with a fresh and a realistic take on romance. This time it looks like director Vijay is clear about what he is looking for. Although his previous movies were dubbed in Telugu, the results were literally middling due to the infamous star-casts (except Ajith Kumar in 'Poorna Market'). Well for his upcoming movie 'Thaandavam', the director has signed familiar Telugu actors to add more attraction. The famous and happening actor Jagapathi Babu will play another lead role beside Vikram in 'Thaandavam'. The film is reported to be a thriller with commercial ingredients shot across India, Delhi and United States of America. Anushka Shetty and Amy Jackson will be seen sharing screen with Vikram while Santhanam and Nasser have important roles. The technical crew is the same as in Vijay's previous movies as G.V. Prakash will score music to the lyrics of Na. Muthukumar and Nirav Shah on cinematography. The film will go on floors from November 30 and full-stretch schedule will happen from January. Manirathnam is known for commencing his projects without a formal launch and ritually sticks to this habit from the very beginning. The star-casts for the film is yet to be confirmed, but the director has started working on the locations and other works. Usually when the director has a project on the cards, A.R. Rahman becomes the first one to kick-start it. 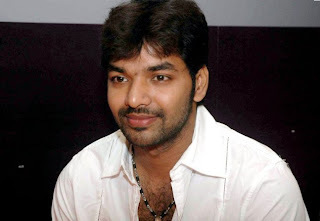 He has already completed working on three songs and the first song was recorded this morning with lyrics of Vairamuthu. The lyrics are reported to be so enchanting as it will sound like a lullaby to all the souls. It is not yet confirmed whether Manirathnam will be making this film bilingually and if so, it will be Gulzar penning the lyrics for Hindi version.